For the most part, when we think about social mobility, our concerns are with those on the lower rungs of society’s ladder; people “for whom life is a struggle and who work all hours to keep their heads above water” as Prime Minster Theresa May put it in her most recent speech on the matter. One of the issues often considered is how likely are those from disadvantaged backgrounds to enter into higher education. This is often viewed as the direct route to the top jobs in the UK where a degree is almost always a pre-requisite now. The hope is that, if society is meritocratic, rewarding those for effort and achievement rather than family background, if we get more disadvantaged kids into higher education then this will equalise their chances of reaching the top jobs. Unfortunately, in the UK, this does not seem to be the case. Recent research by ourselves, and colleagues from Cambridge, Bath and Warwick university has revealed that higher education is not the leveller we might hope it to be, and that socio-economic differences persist throughout higher education and into the graduate labour market, even comparing those with similar educational attainment. It is well documented (Chowdry et al, 2013) that there are substantial socio-economic differences in the likelihood of going to university, including by type of institution attended. But our research reveals that there are socio-economic differences in how well students perform once they are at university as well. For example, as Figure 1, which uses data from 11 universities across the UK, shows, students from the lowest fifth of parental income group score significantly lower (some 10 per cent of a standard deviation) in annual university exams than those from the highest income group. This result holds even after controlling for A-level attainment at age 18, university attended, subject studied, and a range of other characteristics. Whilst these results are for only a small sample of around 40,000 students, looking at administrative data on all English-domiciled students entering higher education at age 18 or 19 between 2004–05 and 2011–12—over a million student – we also find substantial socioeconomic differences in drop-out, degree completion, and final degree classification. State school students from the 20 per cent of highest socio-economic backgrounds are less likely to drop out of higher education entirely within 2 years of entering, more likely to complete their degrees within 5 years, and more likely to achieve a first or 2:1 than those from the 20 per cent lowest socio-economic backgrounds. These differences are reduced, but remain significant, even after accounting for background characteristics, rich measures of prior attainment from ages 11, 16, and 18, institution and subject. As well as these differences in outcomes at university, it is also the case that graduates from disadvantaged backgrounds have lower employment prospects. Research by Macmillan et al (2015) reveals that privately educated graduates are 9.5 percentage points more likely to secure a high-status occupation than state educated graduates, even if they come from similarly affluent families and neighbourhoods. Whilst some of this difference is driven by demographics and prior educational attainment, a larger part of the story is which university the graduate attended. Having a postgraduate qualification also explains some of the difference. Nevertheless, even when accounting for all of these other observed differences between graduates, a privately educated graduate is still 2.5 percentage points more likely to secure a high-status occupation than a state school graduate from a similar family and neighbourhood, with the same educational qualifications, who went to the same university, and who studied the same subject. Similar differences can also be observed within particular types of high-status occupation, including business, the law, and life sciences; powerful evidence that degree attainment is not enough to equalize socio-economic differences in early career entry into elite occupations. A final part of the picture concerns individual’s career progression. Here, our results tell the same story of inequality. For a cohort now in their mid-40s, earnings of graduates differ substantially by family background, again after controlling for a range of measures of pre-university skills and qualifications, as well as university attended and degree subject studied. This is most marked among men, and especially for those who go on to be high earners. 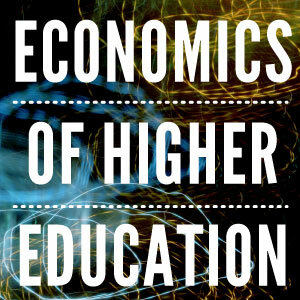 This strongly suggests that ability and educational attainment, and even a degree from the same type of institution and in the same subject, does not equalize opportunities to access high-paying jobs for those from less affluent families. The worrying conclusion is that equalizing educational achievement does not necessarily translate into equal career opportunities. In all, our research highlights that the need for policy intervention goes well beyond the first day of university. We must support students throughout university to help them complete their degrees with good grades. And in the labour market, we must encourage employers to be more transparent about their existing staff mix and actively encourage those from more deprived backgrounds with relevant qualifications to apply and progress. It is the duty of all stakeholders—including schools, universities, and employers—to keep the doors to opportunity open as wide as possible to those from deprived backgrounds. The evidence presented here suggests this is currently far from the case.